Your pieces of glass can be whatever shape you like; they don’t all have to be the same. Again they don’t need to fit accurately together, as the spaces between them can be filled with grout. This makes glass appliqué courses ideal for complete beginners and people who lack strength in their hands. It’s also another technique that’s lead free and thus suitable for under 18s and pregnant ladies. Glass appliqué is a great introduction to glass art, as your pieces of glass don’t have to fit accurately together. 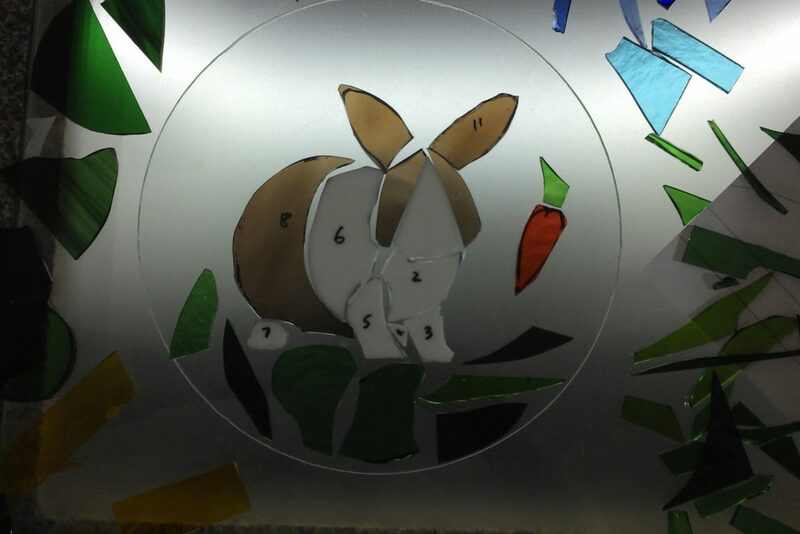 Come and make a decorative panel, using our pre-cut shapes and cutting as many or as few pieces as you choose if you want different shapes. We’ll teach you to cut glass if you’ve not done it before or if you’d like a bit of extra help. Show off your glass cutting with some more intricate shapes, work with other materials as well as glass, or perhaps make something 3D. You could even add a hanging loop and / or a lead surround to your finished panel if you like. 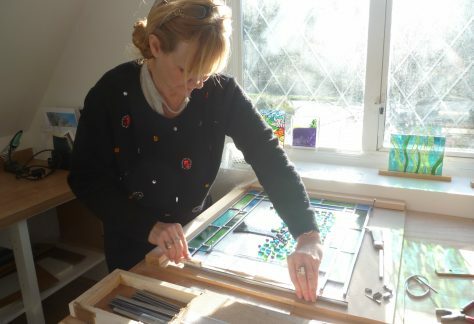 Use glass appliqué as a stepping stone into other techniques, make something as big as you like over the course of a number of weeks or simply come and relax in good company for a chat and the chance to create some glass art with no pressure. Alternatively if you’ve always wondered what to do with your own stash of glass left over from other projects, come and turn it into something beautiful! 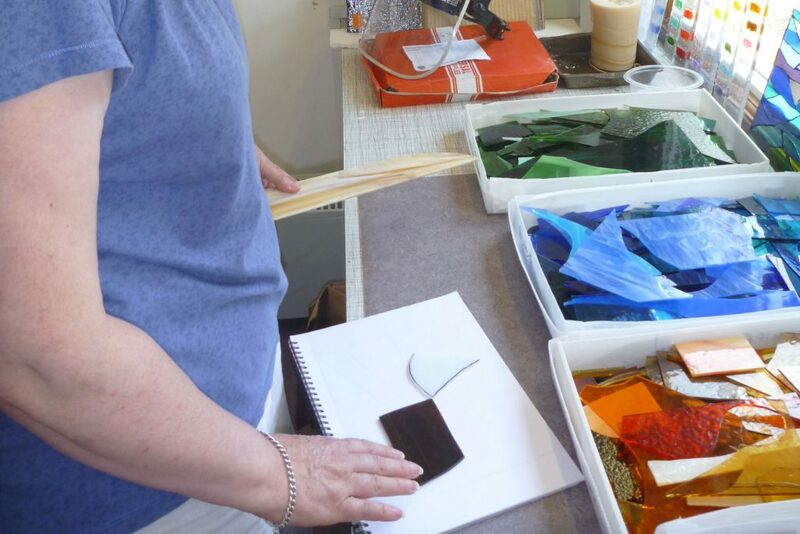 To book a glass appliqué course click below and select a date that suits you.